A pro-government party in Azerbaijan has offered a "bounty" of some €10,000 for an ear of writer Akram Aylisli, whose latest controversial fiction novel describes the volatile Armenian-Azeri relations during the final days of the Soviet Union. 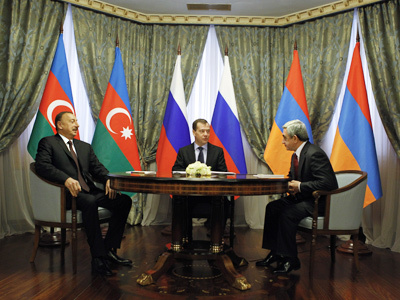 ­The reward will be offered to any member of the youth branch of the country’s Modern Musavat party who cuts the writer’s ear off, the leader of the party Hafiz Hajiyev told Turan news agency. Earlier party members revoked the writer’s national honors for "insulting the dignity" of his country with a work that depicts Azerbaijanis attacking Armenians, but agreed that such an insult deserves a harsher punishment, so “we have to cut off his ear,” Hajiyev was quoted by Contact.az as saying. 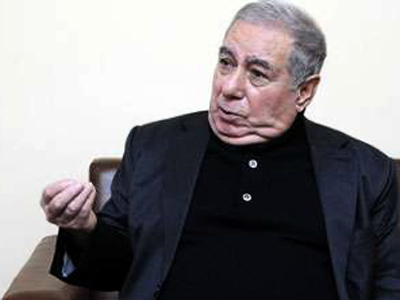 In reaction to the latest development, Akram Aylisli says that he and his family are considering leaving the country, unless the state provides them with the necessary security. Late last year, Aylisli drew fire from Azerbaijan’s elite for publishing a novella, Daş Yuxular (Stone Dreams) in a Russian-language journal. 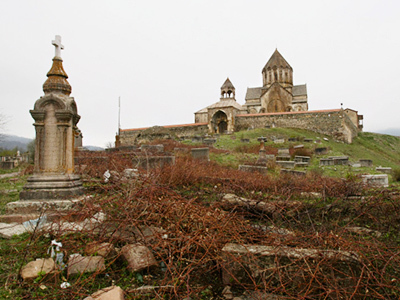 Concluded in 2007, the story describes the struggle of two Azerbaijani men to protect their Armenian neighbors during the Nagorno-Karabakh conflict in the 1990s. Many in Azerbaijan took offense to Aylisli's sympathetic portrayal of Armenians by depicting only the Azerbaijani attacks against Armenians during the conflict, while never mentioning incidents of Armenian violence against Azerbaijanis. 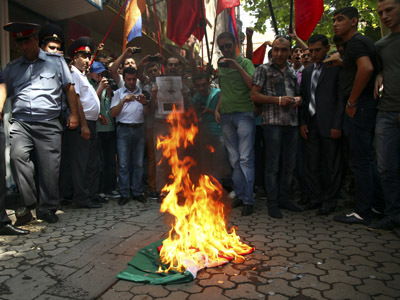 Protests were widespread in Baku with signs reading “Why have you sold yourself out to the Armenians?” displayed outside Aylisli’s residence with his portrait burned outside the house. On February 7th, 2013, the President of Azerbaijan Ilham Aliyev signed a presidential decree that stripped Aylisli of the title of "People's Writer" and the presidential pension.